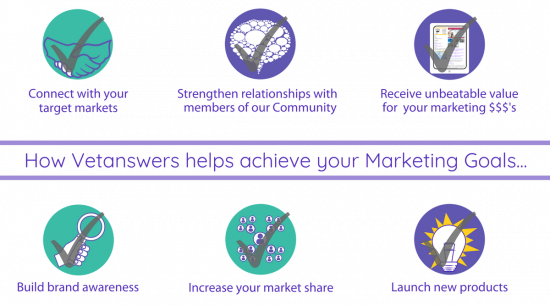 Why Promote Your Business With Vetanswers? Vetanswers is the fastest growing online community for the Veterinary Industry in Australia. What's on in 2018? Veterinary CPD Calendar offers the only veterinary CPD Calendar that includes ALL of the training on offer for EVERYONE who works in the Australian veterinary industry. Our CPD calendar is updated regularly and is offered in a fully searchable online version AND in an easy to read, download & share PDF version. Find out more here. Our online Veterinary Community offers the perfect environment for you to connect with members (your clients) and demonstrate how you have the answers to the problems they face every day in veterinary practice. 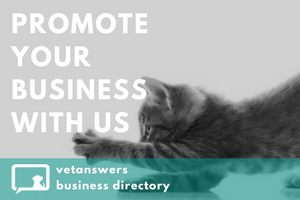 Create a Business Listing in the Vetanswers Business Directory and we can help to promote your business and encourage our members to find out more about you. Our eNews is sent to goes out to over 750 Veterinary Industry professionals every week. It is full of industry news and has higher than average open rates and click-through rates. Booking deadline: Every Wednesday at 12 noon. Late bookings may be held over to the following week. 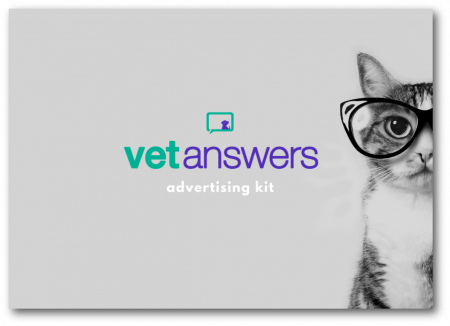 Target 5,500 individual vet industry clients each month through advertising on our website. We offer a range of options including top and bottom banners, side skyscraper vertical banners, and two sizes of horizontal banners. Prices start from just $50 + GST per month (depending on the size). We are always keen to add to the range of resources we have available for our Members and eBooks offer a great opportunity to position yourself as an expert whilst providing Members with a useful resource. We a growing number of detailed yet easy-to-read informational eBooks or 'Purple Paper' on a range of vet industry-specific topics. These eBooks can be about particular animal health issues, through to more general topics such as building a vet practice. One of our most popular member resources! Vetanswers publishes the ONLY downloadable 12-month, veterinary-specific CPD Calendar. The 'What's on in 2019? CPD Calendar' contains ALL of the training relevant to the veterinary industry in Australia including major overseas conferences, Australian conferences, workshops, courses and webinars. It is FREE to have your training included however paid listings are also available to help get your training noticed and promoted to the Vetanswers Community. We're happy to work with you to come up with an innovative promotion or announcement that can be emailed directly to our members. Past promotions have included an informative email with a special offer and a 'Treasure Hunt Competition' to encourage members to look through a new catalogue. Talk to us about your personalised email to our Members. All online advertising is prepaid in advance. We reserve the right to reject advertising and blog articles that are not deemed to be appropriate.